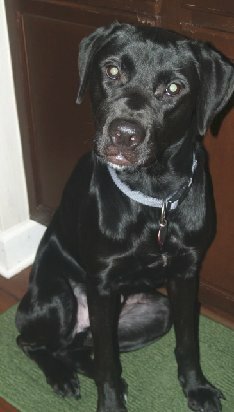 This beautiful Black Lab mix was rescued from a kill shelter but is headed back there unless someone will help him. This guy really needs a home. One of his present owners is threatening to send him to a kill shelter and the wife is desperate to find him a good home. Rocky is a 1.5 year old lovable black lab mix. The owners got Rocky as a rescue and rehabilitated him to perfect health. He is current with all of his vaccines and is looking for a happy forever home where he can be loved and taken care of as a member of the family. Rocky is a potty trained inside/house dog who loves to play but will lie beside you as you rub his chest or as he chews on his bone. Rocky knows many verbal and signed commands such as sit, stay, lie down, leave it, come here, and wait for it and a number of other commands that the current owners will be happy to show you. All of Rocky’s belongings are included to make his transition easier for both him and his new owners.